At the turn of the twentieth century, Adella Prentiss Hughes, musical organizer and pioneer, sought to change the music scene in her hometown of Cleveland. She took a music degree that she earned from Vassar College in 1890, and went on a grand tour of Europe. The focus of her trip? To study international music. She spent her time well, by networking with a number of world famous conductors. By the time she returned to America in 1891, she had made a name for herself as a professional accompanist and soloist, yet she wanted a change. She found her true passion in the art of promotion. She especially loved promoting Cleveland's thriving musical performances. By 1901, Adella was a fixture in the Cleveland music scene. Being extremely motivated, fashion forward, and equipped with a brilliant mind, she regularly booked outdoor performances. Her favorite venue was Grays Armory. She ultimately wanted to gain enough public interest to fund a permanent Cleveland Orchestra. Over the next 15 years, Hughes kept a steady stream of operas, symphonies, ballets and orchestras playing at Grays Armory. 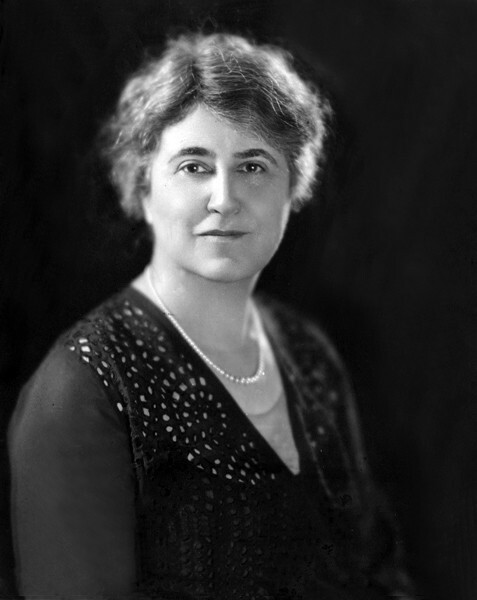 She finally had the idea for the Musical Arts Association in 1915, and just three years later, the Cleveland Orchestra was created. The Orchestra was musically anchored by Russian conductor Nikolai Sokoloff and financially led by a dedicated following of businessmen and professionals. The orchestra was such a hit that it needed to have its own concert space. Under Hughes's direction, the funding for Severance Hall began in 1930. She was able to secure over five million dollars in public donations, and nearly three million dollars from John Long Severance. Hughes was so successful in raising money for the construction of the building that she had money left over. So much so that when construction was completed they had money left over to begin an endowment earmarked for the maintenance of the building. The completion of Severance Hall and the creation of the Cleveland Orchestra marked the fulfillment of two lifelong dreams for Hughes. Her love for music, along with her determination, helped bring these dreams to fruition. Lioness of Cleveland's Music: Mrs. Adella Prentiss Hughes will forever be remembered for her dedication to the music scene of Cleveland. Her perseverance helped create the Cleveland Symphony Orchestra and its world-class home in Severance Hall. Image Courtesy of Cleveland Memory Project. Michael Schwartz Library. 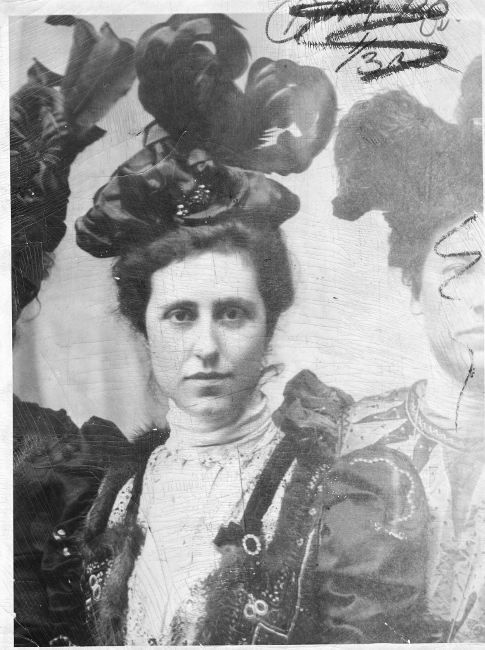 First Concert 1899: Before she established the Cleveland Orchestra and helped to build Severance Hall, a young Adella Prentiss became known for arranging touring orchestras, symphonies and operas to perform in various Cleveland venues. This photo is from the first performance she put together. Image Courtesy of Cleveland State University. Michael Schwartz Library. Division of Special Collections. Cleveland Press Collection. 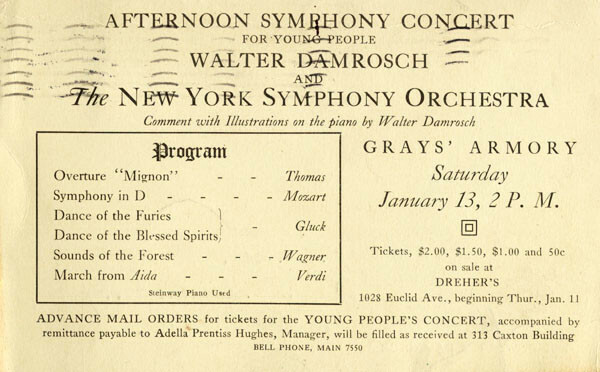 Afternoon Concert Postcard, 1916: Many of the concerts that Adella Prentiss Hughes arranged were held at Grays Armory. The performances helped inspire an appreciation of music among Clevelanders of all ages. When she formed the Cleveland Orchestra, it soon outgrew the Armory space, and so she began to raise funds for what would become Severance Hall. Image Courtesy of Cleveland State University. Michael Schwartz Library. Division of Special Collections. 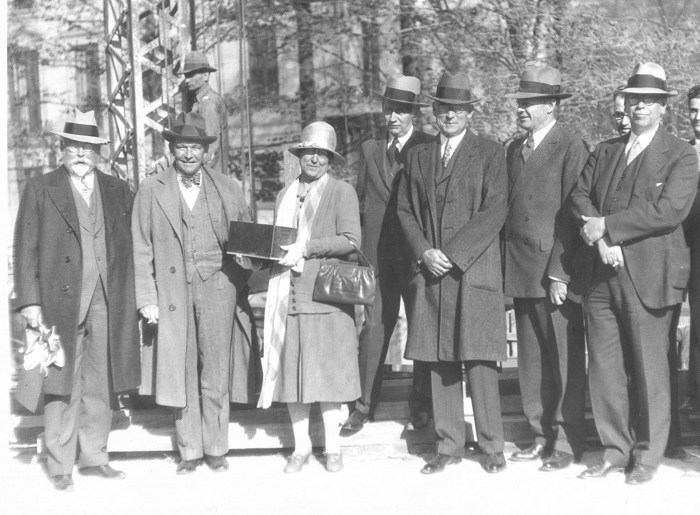 Building Severance Hall: In order from left to right, John L. Severance, Dudley Blossom, Adella Prentiss Hughes, Frank Gurion, Benedict Cromwell, and Frank Walker pictured here during the building of Severance Hall. The groundbreaking ceremony was held on November 15, 1929, and completed in 1931. Image Courtesy of Cleveland State University. Michael Schwartz Library. Division of Special Collections. Cleveland Press Collection. 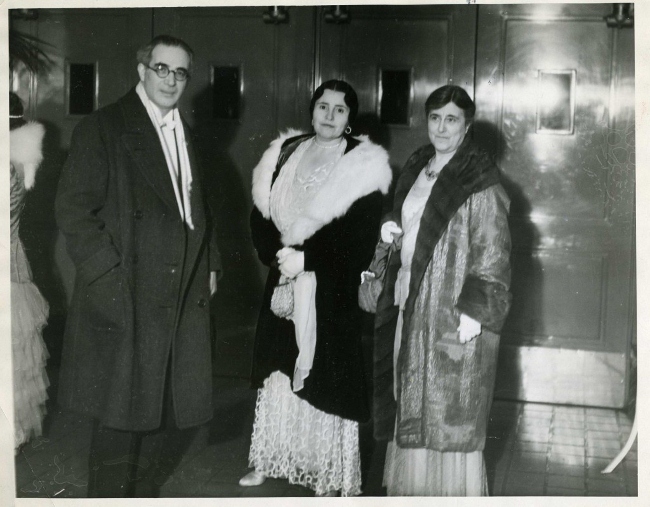 Opening The Doors, 1931: Adella Prentiss Hughes and Mr. and Mrs. Nikolai Sokoloff pose before the first public concert of the Cleveland Orchestra in its new home at Severance Hall. Sokoloff, originally from Russia, was the first conductor of the Cleveland orchestra. A noted musician, he was one of Hughes' key pieces to creating a first-rate orchestra in Cleveland. Image Courtesy of Cleveland State University. Michael Schwartz Library. Division of Special Collections. Cleveland Press Collection. 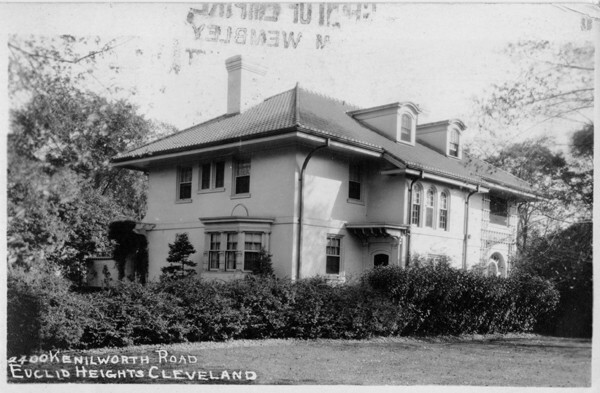 Hughes' Residence, 1924: Adella Prentiss Hughes and her husband Felix Hughes, a prominent baritone vocalist, built this house in 1912. She divorced her husband in 1923, but prior to that his nephew, Howard Hughes, often visited their home. Image courtesy of Cleveland State University. Michael Schwartz Library. Division of Special Collections. 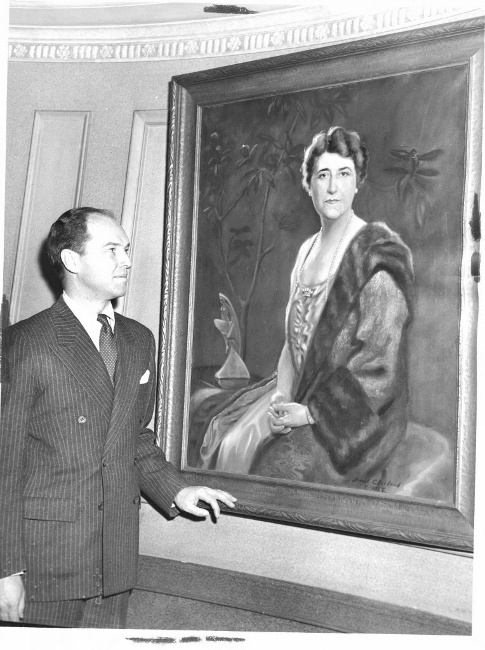 Hanging Her Portrait: This portrait, painted by David Cleeland, was to be hung in Severance Hall at the opening in 1931. Instead another was used. It was not until the Hall's 25th birthday that the picture was donated to commemorate all the work Mrs. Prentiss Hughes accomplished. Image Courtesy of Cleveland State University. Michael Schwartz Library. Division of Special Collections. Cleveland Press Collection. Still Hard At Work: Hughes retired from official service as manager of the Cleveland Orchestra in 1945. Even so, she continued to work with them. 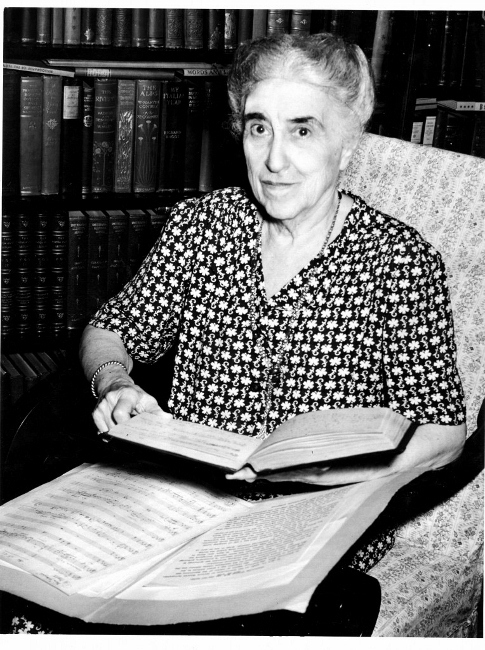 Pictured here in August of 1949, just months before her death in 1950, she was still writing notes on the orchestra's music. Image Courtesy of Cleveland State University. Michael Schwartz Library. Division of Special Collections. Cleveland Press Collection. Janelle Daling and John Horan, “Adella Prentiss Hughes,” Cleveland Historical, accessed April 19, 2019, https://clevelandhistorical.org/items/show/464. Published on May 20, 2012. Last updated on Apr 18, 2017.